It’s time to reconcile who you are with who you present yourself as being. As the digital era has developed so rapidly during the past 10 years, evermore people are acting as their own publicists. To some extent this is true for all of us. You have reached a moment of reconciliation, where your image and your reality need to be perfectly in sync, or at least honestly reflective of one another. 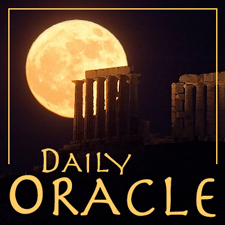 Today’s Oracle takes us to the Aries weekly for February 12, 2015. It’s time to reconcile who you are with who you present yourself as being. As the digital era has developed so rapidly during the past 10 years, evermore people are acting as their own publicists. To some extent this is true for all of us. You have reached a moment of reconciliation, where your image and your reality need to be perfectly in sync, or at least honestly reflective of one another. This is about more than having an accurate Facebook page or Match.com profile. It’s about a level of integrity wherein you actually are who you are. Recent events may have demonstrated certain inconsistencies between image and substance, and the problems they can create. You may not feel comfortable fully exposing yourself. But if that is true, the question is, why do you want people to know some things about you but not others? What goes on what list? As we go deeper into this most unusual and challenging phase of history, intelligence is the thing we need the most. That is the theme of the 2019-2020 annual edition of Planet Waves — audio and written signs available for instant access. See more information here. If you’re looking for individual signs, order here.